Get SiriusXM™ Radio in your Toyota and use the factory installed stereo and controls to listen to music, change channels, and browse categories. Please use the Application Guide below to locate the Model Number that works with your vehicle and then select that model number from the drop down window above the Ad to Cart button. Click Here to view or download the application guide for Toyota. Looking to use the factory installed radio in your Toyota vehicle to get SiriusXM™ Radio service? If so, then this is the kit you need. This OEM kit utilizes the controls within the factory stereo for listening and controlling SiriusXM™ Satellite Radio. SL3sat allows you to add SiriusXM satellite radio directly to your Toyota or Lexus factory radio. You will have the ability to control all SiriusXM channels through your factory radio without replacing it. SL3sat requires a SXV300 universal SiriusXM tuner. This bundle includes both the SL3sat interface module plus the SXV300 SiriusXM Radio tuner. Preset 36 of your favorite stations for easy and quick selection. 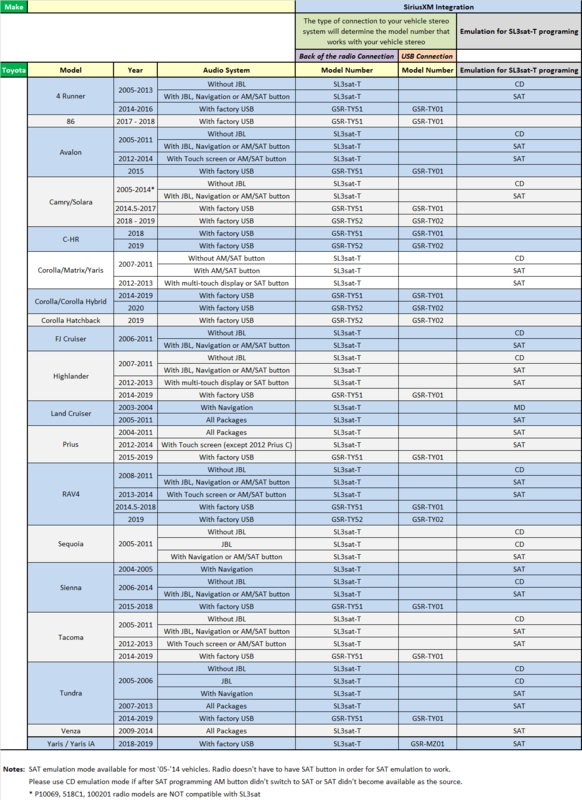 (SAT emulation only) - GSR Model only / SL3SAT models have 18 presets. 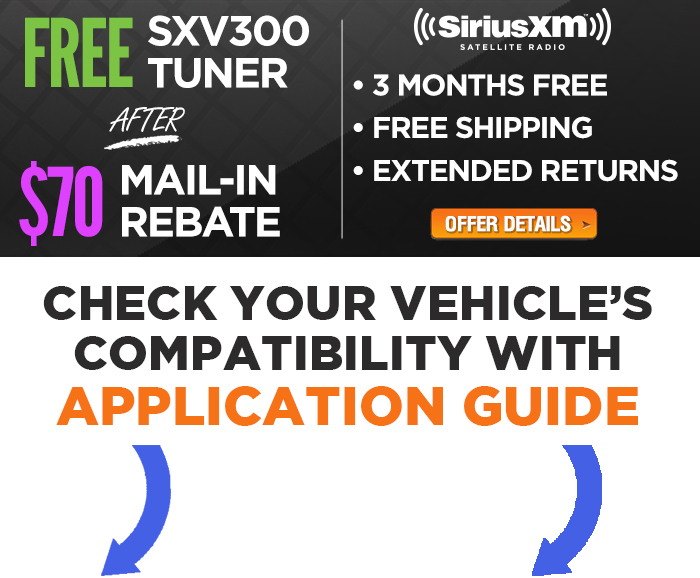 SiriusXM® is currently offering a $70 rebate on the SXV300 tuner included in this kit. When you activate the tuner, you may also qualify for 3 free months of service with a $15 activation fee.